To understand other people is difficult: to understand ourselves is almost impossible! How little we know about ourselves! Many of us go through life with little understanding of our own feelings and reactions. For instance do you really know how you will react in an emergency or crisis? Do you know how you deal with anger, frustration or disappointment? A study of your handwriting will give you a better understanding of yourself honestly and effectively in a non-intrusive way. There are things that you can learn from an analysis of your handwriting that your best friend would never tell you! Before you can understand others you have to understand yourself first. This is especially true if you want to have a meaningful relationship. 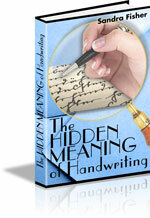 Handwriting analysis helps you to see yourself as others see you. Are you really as sure of yourself as you appear to be - or are you simply masking a deeper feeling of insecurity? 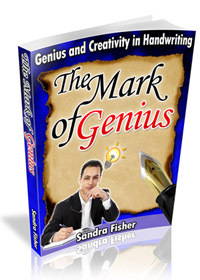 A study of your handwriting will inform you about your true level of confidence and self-esteem. Lack of confidence may be preventing you from achieving the success that could be yours if only you could find reasons to believe in yourself. These reasons may be visible in your handwriting - waiting to be discovered. Strange as it may seem, we are not always aware of our strong points. But we need to know our strengths so that we can take advantage of them and maximize them for greater success. Fortunately, strengths stand out in handwriting. The stronger the trait the more evident it will be in your handwriting. Although it is important to be positive, it is also necessary to recognize our genuine limitations. If our weaknesses can be identified in an uncritical manner, we can look at them objectively without becoming too emotionally involved. It is then much easier to do something about them. Many of our talents often go unrecognized and are sadly neglected - sometimes even ignored. A study of your handwriting can uncover your hidden or latent talents and reveal them to you so that you can develop them. You may even discover talents that you never dreamed of. You can find out if you have sufficient will- power and drive to be able to achieve your ambitions. And if not, you will learn which areas to concentrate on in order to improve . How friendly are you? How well do you really get on with other people? Because our interpersonal relationships play such an important part in our lives and affect our happiness we need to understand them better. An analysis of your handwriting can reveal how well you relate to other people, either in crowds or on a one to one basis. Your handwriting will also help you to find out how you deal with your problems. For instance it will show if you have a tendency to run away from your difficulties, or challenge them head-on or become overly defensive or even aggressive. A study of your handwriting can ferret out some of the personality differences that prevent you from getting on with your partner or cause you to clash with someone you love. It can help you to find out if you and your partner are compatible or not - and furthermore, to identify the problem areas. And of course, there are other people - people you would give anything to understand better. 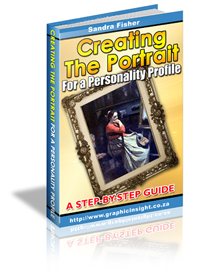 Understand handwriting analysis and you'll be able to discover their motives and appreciate just why they behave the way they do. There are many other areas covered by handwriting analysis but above all, every handwriting analysis relates to the special individuality of each person and refers to his or her particular needs. 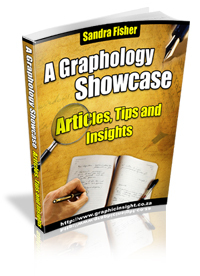 How does Graphology help you?